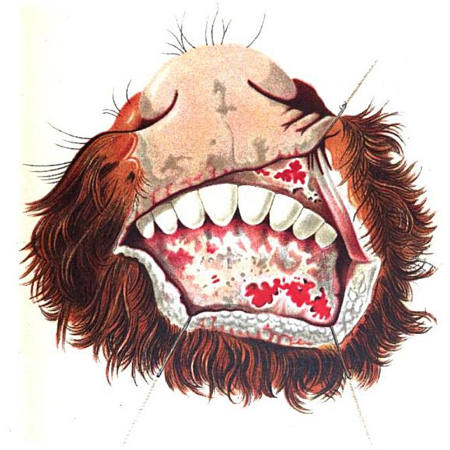 Previously to the present century the only well recognized epizootics that are known to have prevailed extensively among horned cattle in Europe were the Eczema Epizootica, or “mouth and foot disease”, a complaint well known in England since the year 1839, and the terrible Rinderpest or Steppe murrain. This last named disease, which is described as being of the nature of a highly infections typhus fever, terminating in dysentary, is said to be indigenous to the Steppes of Tartary and Siberia, from whence it has descended, from time to time, upon Russia, Germany, and other European countries. REPORT of the COMMISSIONER OF PATENTS for the year 1860: AGRICULTURE. That means that this disease is evolving though the years and very alarming. All through out the evolution, there is no strong science to control this cattle disease? This kind of fatal condition of every cattle can be transferred to human, and that will be a big pandemic whenever it happens. wow, what a terrifying disease. glad to see that it’s being taken care of. It looks like we’ve got a handle on it now. I wonder whether we’ll ever see a true end to it or if it will continue to pop up from time to time.